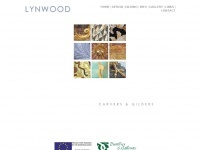 The websites author and copyright owner is Lynwood Carvers and Gilders. The web server with the IP-address 217.160.231.253 used by Carversandgilders.org.uk is run by 1&1 Internet AG and is located in Germany. On this web server 86 other websites are hosted. The language of those websites is mostly english. A Apache server hosts the websites of Carversandgilders.org.uk. HTML 4.01 Strict is used as markup language on the webpages. Indexing the data of the website and following hyperlinks on it is explicitly allowed by robot information.